The Bosch LTC 0335 Dinion has been discontinued. No direct replacement is available. 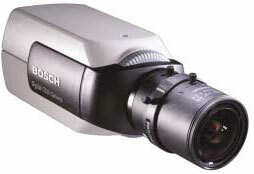 The Bosch LTC 0335 Dinion series are compact, rugged, 1/3-inch image format digital monochrome CCD cameras. The LTC 0335 Dinion provides superior sensitivity and resolution, giving users optimal performance in virtually all environments. The LTC 0335 Dinion features digital signal processing and auto-detection of lens type. Lenses not included.